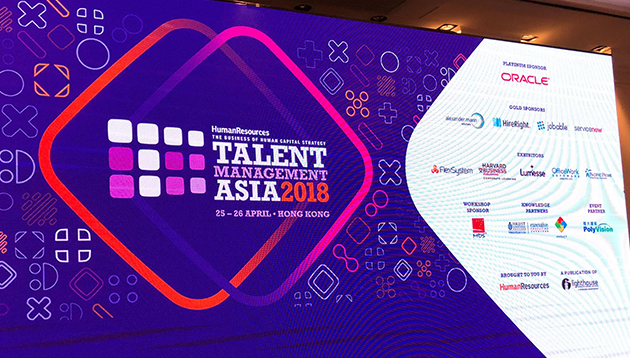 Welcome to Talent Management Asia 2018, Hong Kong – the regional conference devoted to human capital strategy! 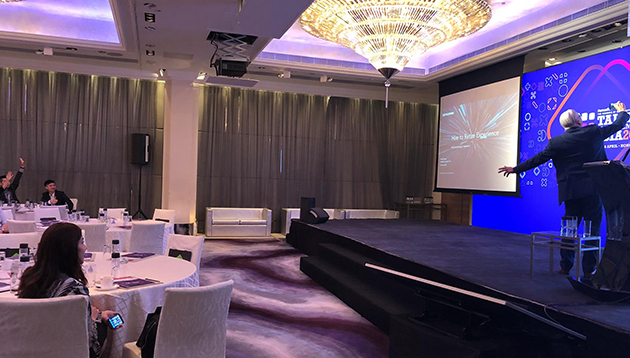 Today’s conference will see speakers from Oracle, adidas, Jobable and more sharing their insights into some of the biggest challenges through keynote presentations, and panel discussions. 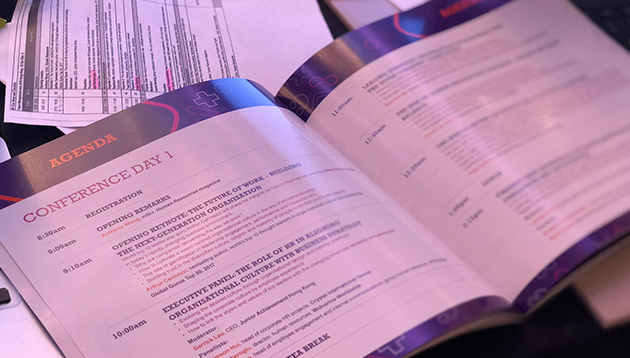 On this page, you can catch live updates from the conference, brought to you straight from The Mira Hotel with the most recent session updates appearing first. 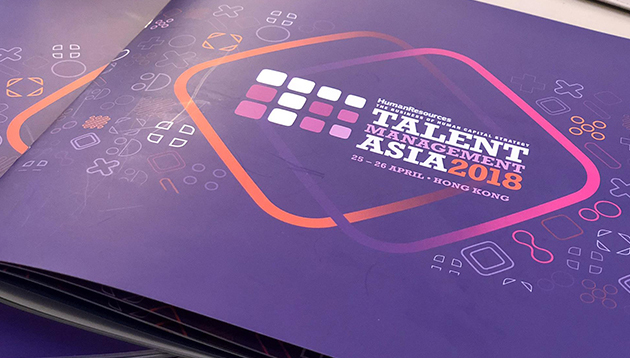 As Talent Management Asia 2018, Hong Kong comes to an end, we thank all sponsors, speakers and delegates for joining us. Hope all of you had a great time and we look forward to seeing you again. 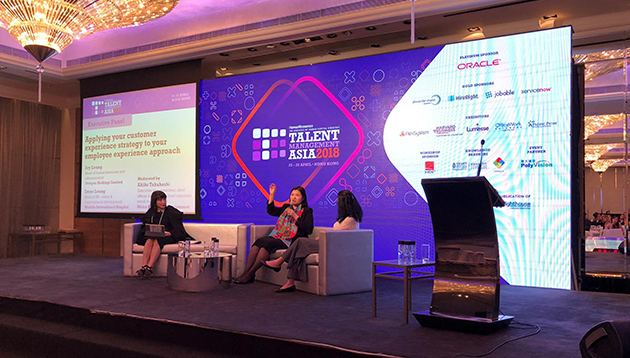 On to our last session of the day, we will now have a case study on how Nissan factors diversity into its organisational talent acquisition and leadership development. Our speaker will share about the diversity of the Asia and Oceania markets and its impact on talent acquisition/leadership development, challenges of managing a globalised workforce in today’s inclusive environment and Nissan’s perspective on gender and cultural diversity. Our final speaker for the conference leads human resources in Asia and Oceania for Nissan Motors Asia Pacific. Her current focus is to partner with business leaders – inclusive of the sales, marketing, manufacturing and R&D functions – to continuously improve the regional operation. 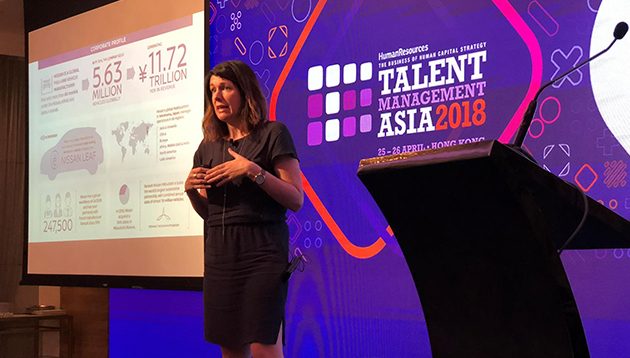 Leading a large team of 110 employees across Japan, Thailand, Indonesia, Australia, Philippines, and Korea, she is responsible for a transformation of the HR function in the region to achieve a business partnering and COE model, bringing about increased capability. She has been with Nissan since 2001 and is no stranger to the business. 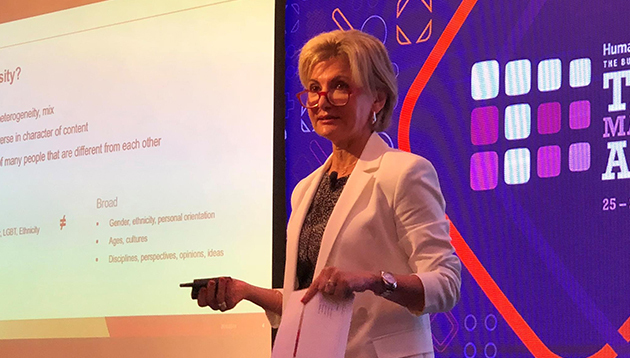 Her previous role as general manager in Nissan Europe saw her deliver a cross-functional organisation review to implement organisational design, processes and systems capable of supporting the Nissan Europe mid-term plan. She has a track record in areas such as talent management and attraction, learning and development, organisation transformation, HR strategy and employees relations. 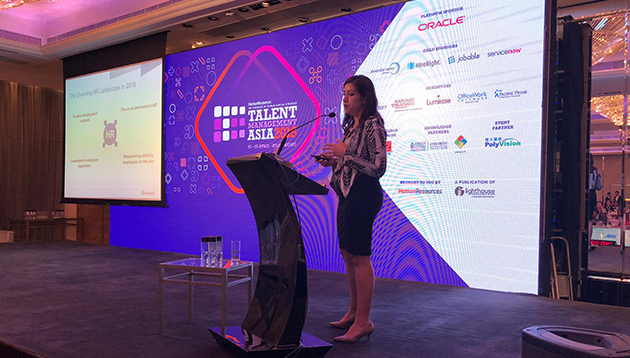 Let’s put our hands together as we welcome our final speaker on stage, head of HR, Asia and Oceania, Nissan, Gayla Cowie. Next up, our speaker is a business executive and human resources, expert. 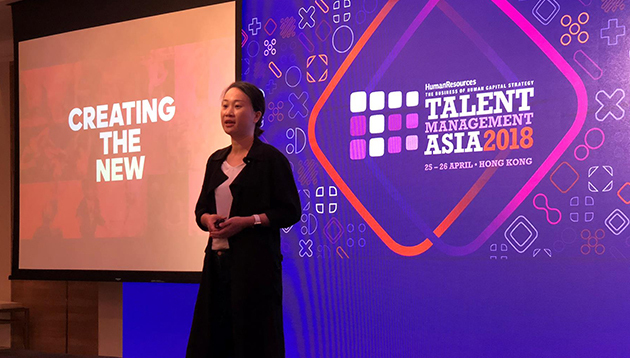 As head of HR and corporate affairs of Shun Shing Group, she drives growth through strategy and brand development, performance management, talent and organisation. Before Shun Shing Group, she held global HR and executive committee roles at DFS and Noble Group. She managed acquisitions, reorganisations and divestments, implementing change and optimising the organisations for business success. She built high performing and multi-disciplinary diverse teams that delivered results. She served on the international advisory council of Schulich Business School, Canada, and was chairwoman of IOBM in Hong Kong. She speaks seven languages. Let’s put our hands together for the head of human resources and corporate affairs, Shun Shing Group, Lelia Konyn. Our next speaker is the CEO of Jobable, Asia’s leading human capital technology and workforce analytics platform. He is a known figure in the HR technology space, making regular appearances at industry roundtables and entrepreneurship events. With more than 12 years of experience in the recruitment industry in Europe and Asia, he has acted as a trusted advisor to global investment banks and asset managers. 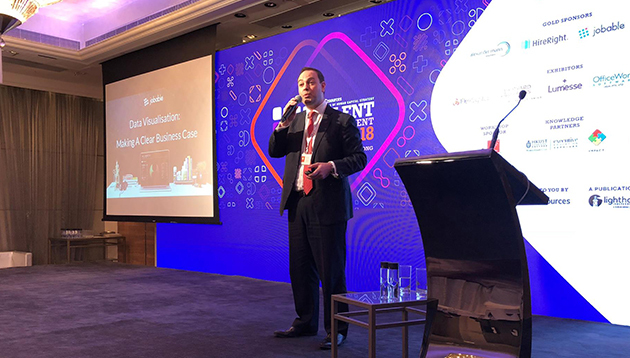 Now, he will be sharing his expertise on making a business case for data visualisation including the challenges for an organisation in using data, the benefits of data visualisation for HR teams and converting visualisation to business strategies. Latest research data for successful leaders in the digital age. Welcoming you back from the hearty lunch is an award-winning speaker, global HRD leader and organisation change and transformation expert. His 21-year career includes executive roles in organisation development, talent management, corporate banking, hotel management and consulting. Geographically, his management development exposure spans 64 countries, directly developing 25,000 talented people, working with 14 diverse businesses. 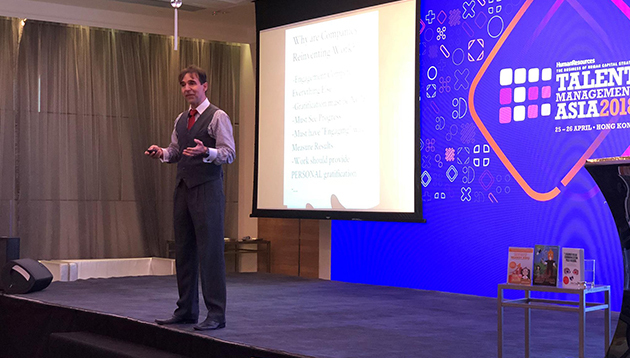 Now as a practitioner, he is dedicated to helping businesses and executives as an executive coach, keynote speaker, corporate trainer and OD consultant. Giving a masterclass on leading digital transformation from an HR perspective. • Is digital transformation only about technology? • Have the principles of managing “change, changed”? • How do you lead change in a digital world? Let’s put our hands together for award-winning speaker, global HRD leader and organisation change and transformation expert, Aalok Gupta. 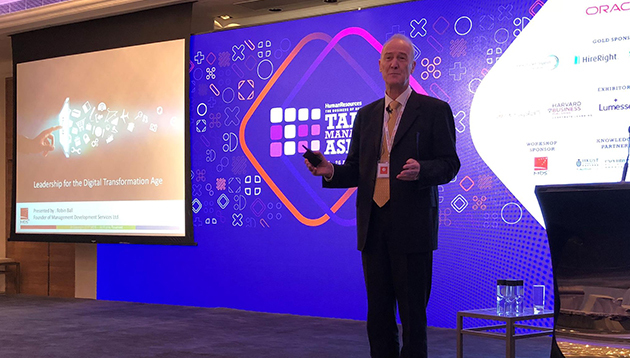 As the founder and managing director of Management Development Services (MDS), our next speaker has more than 35 years of experience in managing and developing people.He has trained and coached hundreds of senior executives in Greater China APAC to build more collaborative teams. He focuses on enhancing the leader’s interpersonal skills and creating the leadership practices needed for success in the digital age. Today he will discuss essential leadership skills for the digital transformation age. Let’s welcome founder and managing director, Managment Development Services (MDS), Robin Ball. We now move to our first-panel discussion for the day; applying your customer experience strategy to your employee experience approach. 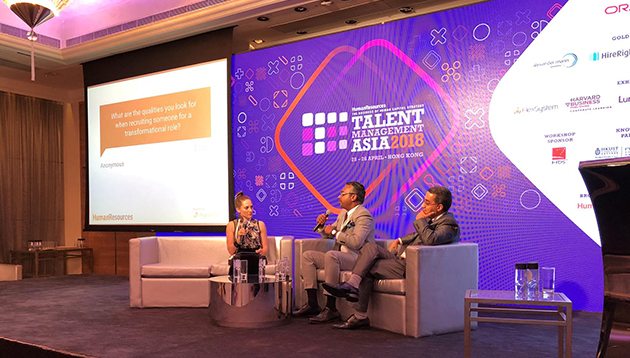 Our experts’ address, how important treating employees as if they are customers by creating a need-based segmentation, improving the employee experience by establishing the employee journey roadmap and how to apply data to guide holistic solutions to capture the employee voice and evaluate engagement. Let’s keep the excitement as our next speaker takes the stage to share a case study on; New performance development approach for “create new”. The introduction of adidas’ brand story, why adidas developed the new performance development approach and how did it support the “create new” strategy in adidas. Today, As the HR director of talent at adidas our next speaker has a diverse work experience working with both HR business partner and talent roles. She started her career as a management trainee at Procter & Gamble. She has worked in key locations in APAC including Hong Kong, Singapore and China. Before joining adidas she the led HR function at Apple Hong Kong, Macau and Taiwan. Please welcome to the stage Director of human resources-talent for adidas, Ivory Cai. 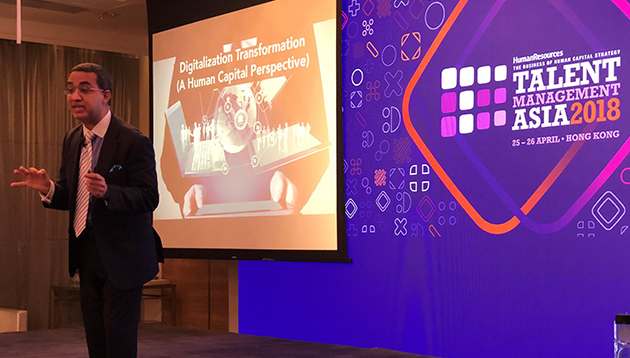 Our opening keynote address this morning is by the vice-president of cloud development for Oracle’s human capital management solutions across Japan and Asia Pacific. He has worked with Oracle for almost two decades, holds an MBA in human resources, a master’s of organisational development strategic human resources management as well as neuroscience and project management qualifications. A fellow of the Australian Human Resources Insitute and a member of the Australian Institute of Directors. Today his address focusses on workforce design in the age of artificial intelligence. With that, let’s give a warm welcome to the stage, vice-president, HCM cloud development, JAPAC of Oracle Corporation, John Hansen. 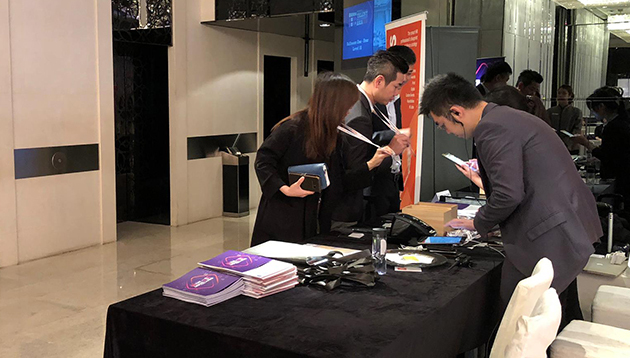 The registration counter is open and our team is all set to welcome today’s delegates at Talent Management Asia 2018, Hong Kong! 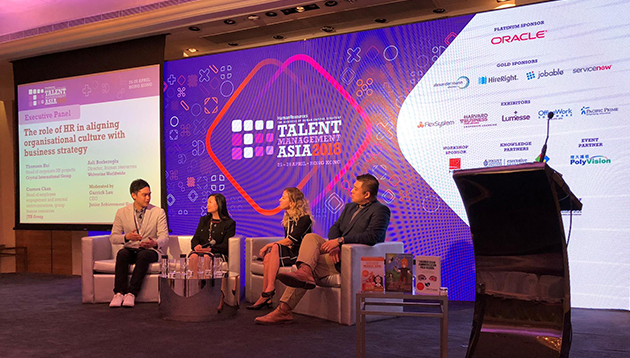 As day one of Talent Management Asia 2018, Hong Kong comes to an end, we thank all sponsors, speakers and delegates for joining us. Hope all of you had a great time and managed to bring home a few key takeaways from today’s conference join us tomorrow for more insights. Before we call it a day, it’s time to engage in our final panel discussion of the day developing leaders who can drive strategic change. Let’s put our hands together for our experts on stage. As the global VP of leadership and talent development at Schneider Electric. our next speaker oversees a global leadership academy which provides a variety of leadership development solutions across Schneider’s community of 10,000 people leaders at all levels. His areas of focus include enabling the leadership population to embrace digital trends and develop strategies for performing in a complex and changing competitor landscape. Today he presents a case study on scaling company-wide success by empowering leadership in the digital world. Looking at what contemporary leaders need to prepare for culture re-invention and nurture digital talents, how to build a digital culture and developing capabilities that allow deeper integration at a systematic level and key steps to prepare the leadership team in making the right choices about the company’s digital transformation. Let’s welcome global head, leadership academy, Schneider Electric, Peter Hope. Next up, is a speaker that comes with 18 years of resourcing experience and a degree in organisational psychology. 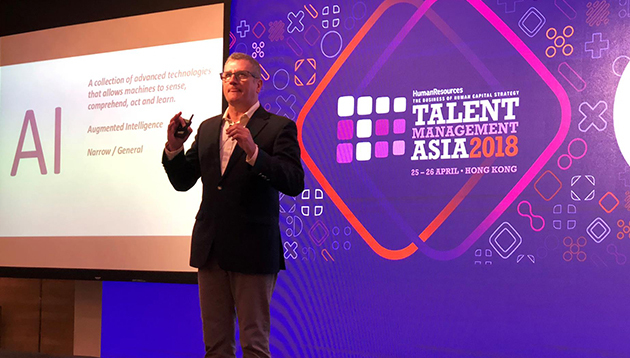 He has over a decade of full-cycle talent acquisition and management experience, both as a consulting practitioner and business leader.As the Managing Director for APAC and emerging markets, he has spent the last 10 residing in Asia building a unique experience and understanding of multiple countries and cultures. His presentation focuses on; the evolution of sourcing in the relationship economy. 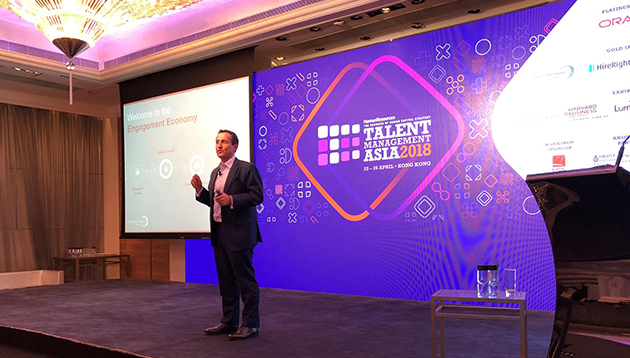 We welcome to the stage, Caleb Baker, managing director, APAC and emerging markets, Alexander Mann Solutions. Our next session takes the form of a fireside chat. In this discussion, we talk to two senior executives recruiting to drive digital transformation within their current and previous organisations. How did they identify talent capable of work that did not exist? What are the skill sets and what do they see as the biggest challenges and opportunities taking on new and transformational roles within a more structured corporate culture? Aalok Gupta, award-winning speaker, global HRD leader and organisation change and transformation expert. Share their insights on recruiting for transformational roles challenges and opportunities. Our next speaker has over 35 years of consultative experience. 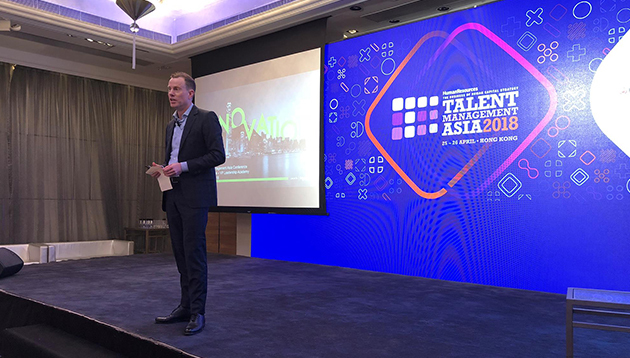 In his current role with Service Now as principal solutions consultant APJ he works with organisations to solve business problems and transform how people work and provides thought leadership across the industry. His presentation titled; “the hire to retire experience and everything in between,” talks about the “Uber experience”, though what really is that experience? In a nutshell, it is the frictionless delivery of an outcome he says. A combination of a visually appealing layer of engagement combined with automated processes to deliver that outcome. Is this a reality or myth for managing your talent in a world that you are constrained by with multiple, complex front and back-end systems? This session discusses how you can use this to attract and retain talent as well contributing to being a company people want to work for. Our next speaker is a director of Asia Pacific for HireRight. 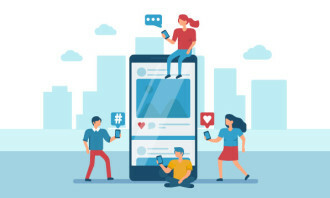 In the age of social media and connectivity, her presentation will help HR find the balance in the rise of global background screening. She answers key questions around what you can and should include in your screening programme? How screening methods are changing in Asia Pacific. Best practices in screening so as to preserve employer branding and the digital transformation of screening. Let’s welcome Tesh Kaur director of Asia Pacific at HireRight in Hong Kong. 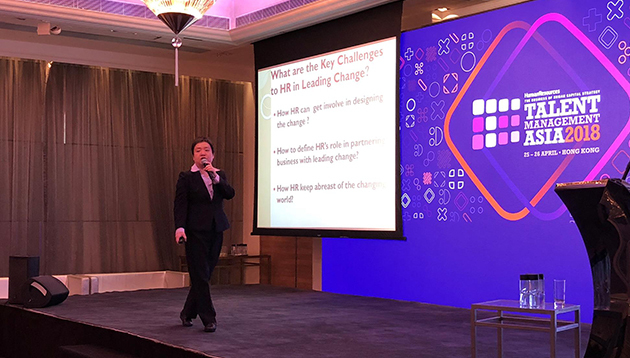 Our next speaker, the director of organisation development & change management, Asia Pacific at Colgate-Palmolive has over 20 years extensive HR experience with HR leadership roles at China, Asia Pacific and Global level, leading with a strong business partnership, strategic HR management, leadership development, organisation development and change management. With that said, let’s welcome director organisation development & change management, Asia Pacific at Colgate Palmolive, Suprince Ma. Starting the conference on a high note, ranked in the Top 10 of the world’s top 30 thought leaders in both leadership and organisational culture categories our speaker has 25 years of experience specialising in psychological approaches to leadership and corporate culture transformation. One of the world’s top 10 thought leaders in organisational culture and leadership and listed in Global Guru’s Top 30, 2017. Today, he shares his insights on how companies can work differently for success in today’s rapidly changing business environment. How to cultivate a vision centred organisational culture and the role of gamification in leadership engagement, performance and measurement. Let’s welcome HR Guru, chief awesomeness officer and founder of Directive Communication International, Arthur Carmazzi. To inaugurate the conference, Human Resources’ Hong Kong editor Anthony Wong takes the stage to welcome all delegates, sponsors and speakers. 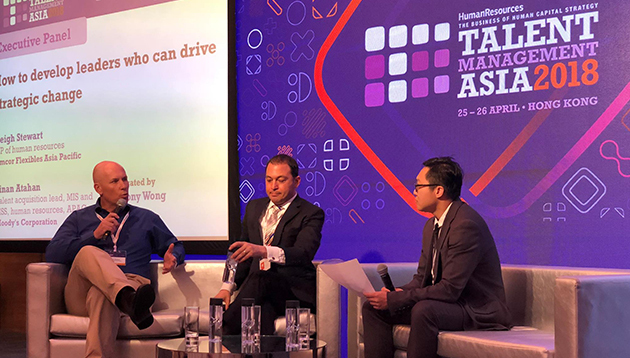 NTUC's Patrick Tay, ANZ's Shmeer Bharoocha, Citi's Jorge Osorio, Maybank's Wong Keng Fye, and more weigh in with their views. ..
What benefits do top Philippine companies offer their employees to keep them happy at work?.. 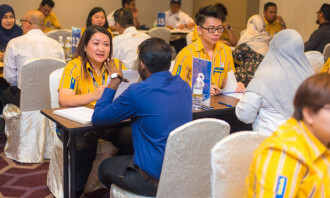 Despite the new 'locals first' decision made last week in Malaysia, foreign workers currently employed at fast food outlets can st..